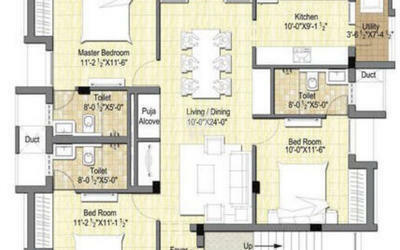 Krishna Harmony, is a massive rise up by the most putative builder Krishna Constructions. 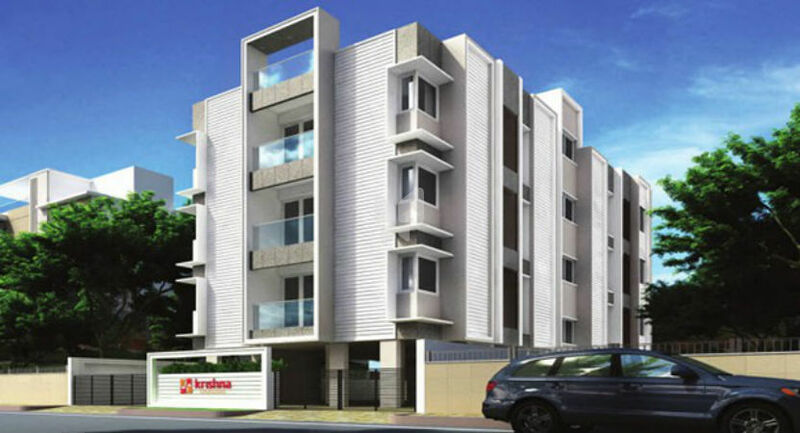 Its Location at Ashok Nagar Chennai, the project is close by many civic utilities that make life more feasible and easy. A fully stretched area, of exquisitely designed work spaces that is bound to satisfy your highest level of expectations. Gratifying the expectations of enormous desires, it takes the pride in fulfilling the uttermost peak of customer expectations. Partition walls in burnt clay bricks with cement mortar. 2 X 2 vetrified tiles for Living, Dining, Bedrooms, Kitchen and Balcony. Exteriors: Asian / Berger / Dulux all weather-coat Paints. Teak wood Frame and Door for Main Entrance. Pre-hung doors for rest of apartment. Balcony : UPVC French Door with glass. Windows : UPVC frames and shutters with sliding / openable glass. Dado of 2’ above kitchen platform in ceramic stone-finish / glazed tiles. Provision for water purification system in kitchen. Stone finish / Glazed designer ceramic / porcelain tiles wall tiles up to ceiling height. Matt finish Anti -skid ceramic / porcelain Tiles flooring. Wall mounted White Roca EWC Dual Flush in all toilets. Roca White wash basin with granite / marble counter top. Roca Single lever hot and cold wall mixer. Television / Telephone points in Living & All bed rooms. Captive power supply for each apartment, except for Air Conditioner & Geyser.